Have you got a question? No problem. 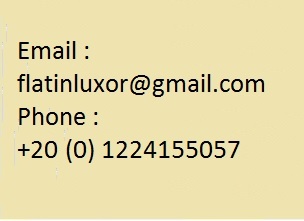 Just email flatinluxor@gmail.com or phone. We’ll be delighted to hear from you. As we help people in different time zones all over the world, please give us 24 hours to reply to your questions.